What questions shall we ask? Presently I am reading Patrick Rothfuss’ novels comprising the ‘King Killer Chronicles’, the tale of a young intellect searching for answers to a personal tragedy. Kvothe, as the main character is called, is guided by life’s events to the ‘University’ and at an early age begins his study of the ‘Arkane’, a mix of science and magic. A key figure in his study is the enigmatic Master Elodin, a ‘namer’ who is able to control many things by knowing their true name. 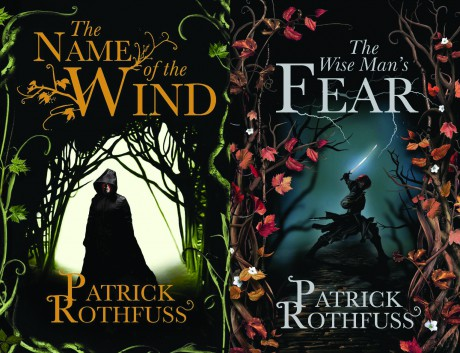 Those who love a good story and enjoy fantasy should seek out the books and discover the complex world that Patrick Rothfuss has created, for now I am most interested in an epiphany Kvothe has while contemplating why he likes questions. For anyone familiar with the ever-growing Internet it is clear that finding ‘little facts’ is increasingly less of a challenge. A learned person can no longer be defined or measured by the facts s/he can recall. I met recently a person who could in moments recall the key facts of almost any event in human history, her name is Siri and she lives inside my phone. It is interesting to consider the proportion of questions we ask students that could be answered by Siri and maybe in contemplating this we arrive at the answer to why so many schools prohibit the use of phones in class. Fortunately there are many questions for which Siri has no answer and conversely many questions yet unanswered. I am often amazed by television, sadly not the content but the very idea that an image can be beamed to an antenna and appear on a screen in my living room. I know enough about how this works to recognise that I really have no understanding of the process. To me it is most interesting to consider the questions that were asked prior to its conception as a possibility. Today I can readily ask questions that will reveal how television works but at some point in time neither the answers or even the questions existed. This is the point where true innovation occurs, when an individual or team begins asking questions for which there are not answers and for which the very asking of the questions create new realms of possibility. With two colleagues I have been studying Harvard’s ‘Making Thinking Visible’ course. Most recently we have investigated the ‘Cultural Forces’ required to promote thinking within a school. To provide our students with opportunities to think we have been contemplating the types of questions we ask. As Kvothe’s father did, we seek to ask questions that will allow our students to think. Our goal is to find those questions most central to our disciplines and then pose these in ways that will promote exploration. The challenge is to ask the questions for which the answers are most hard to find or that have not yet been found. In asking big questions that challenge even experts in the field we play a careful balancing game. We want our students to have opportunities for complex high order thinking while also being able to experience a high degree of success. To complicate things further our students will only experience a feeling of success if it is achieved through opportunities that demand complex high order thinking. David Perkins advocates that to achieve these goals teachers look towards ‘playing junior versions of the game’. By this he means they are engaged with tasks that have genuine purpose and require complex thinking patterns but that they do so at an achievable level. Our Year Six students engage with ‘Big Ideas’ but ultimately the demands placed on their thinking and analysis by the questions we ask are not as rigorous as expected of University students dealing with the same ideas. Regardless the opportunity for even the most complex thinking is there. Complex questions set by the teacher are all very well but how do we teach students to generate new questions? In his revised Taxonomy Benjamin Bloom places Creating at the top of the ‘thinking pyramid’ as the highest order of thinking. This needs some degree of clarification as clearly the sort of creating that went into the invention of television is not of the same magnitude that goes into a child’s artwork. Creating new knowledge and being creative are not directly equivalent terms. If we wish to promote this highest order of thinking in our students we cannot leave it to ‘happy accidents’, we will need to offer a set of strategies within a culture of creative thinking. 1. Pick an everyday object or topic and brainstorm a list of questions about it. Transform some of these questions in imaginative questions such as: Select a question to imaginatively explore. Write a story, draw a picture, invent a scenario, conduct a thought experiment or dramatise a scenario 2. Reflect on your thinking and the new ideas you have generated. 3. Develop those which seem most useful.